ALBANY, N.Y. (NEWS10) - The New York Department of Motor Vehicles is encouraging New Yorkers to get the REAL ID. Beginning on October 1, 2020, a standard New York State License will not be accepted for domestic air travel without additional documentation like a passport. You will need either a REAL ID or an Enhanced Driver License (EDL) board without this supporting documentation. When applying for a REAL ID, use this document guide to make sure you have the proper documentation for the new IDs. 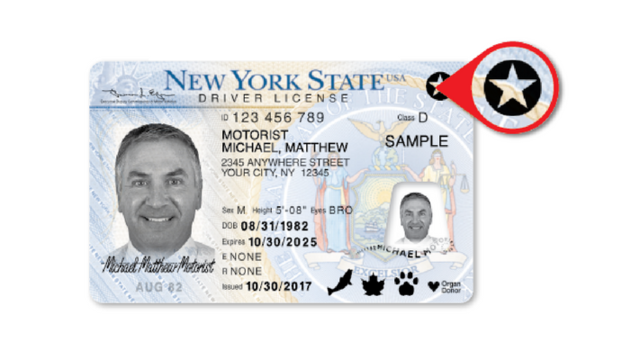 For more information about REAL ID and Enhanced Driver Licenses, visit dmv.ny.gov/REALID. Frequently Asked Questions about the REAL ID.